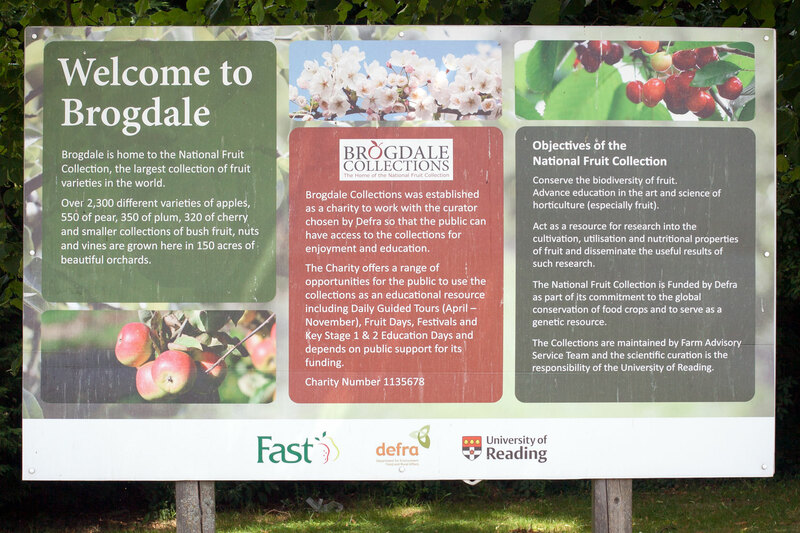 On 3 July, I became a member of Brogdale Collections, the charity ‘working to provide access and education about the National Fruit Collection to the public’2, and took a guided tour of the orchards. On 4 July, I met with the Horticultural Curator of the National Fruit Collection and looked at the archives to find information about a heritage apple cultivar sent from the Auvergne region of France just after World War 2, the ‘Reinette de Maurs’3. The Curator also took me through other parts of the Collection, including the cherry collection where I collected a few cherries of different cultivars to make a photo. I was also given a sample of sour cherries to make a jam test. One of the welcome boards at the entrance. Photo 3 July, Brogdale, UK. This entry was posted in News and tagged CroqueursDePommes, UK by Les Jardins d'ici. Bookmark the permalink.